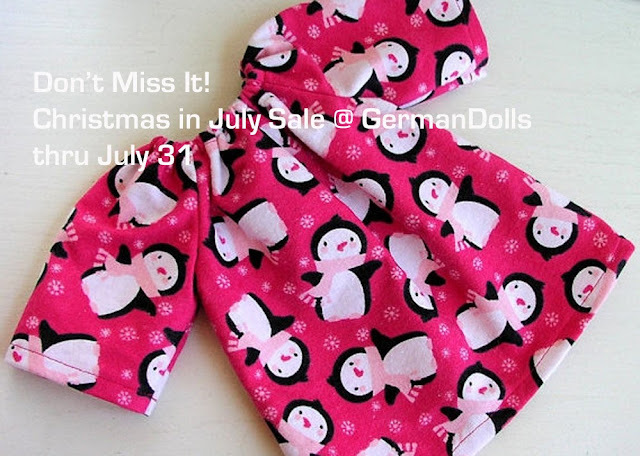 Don't forget: My Christmas in July Sale on Etsy is still going on. There are only 12 days left to get your GermanDolls presents for 10% less during this storewide sale: Including CUSTOM DOLL SLOTS!!! Also, many items in my shop are one-of-a-kind and once they sell I will not list the same item again. Right now I am sold out of Teething dolls and First Dolls for young kids.